While at MSN, my team was responsible for the MSN Real Estate channel among four others. Part of our responsibilities include graphics creation for special sections within each channel. 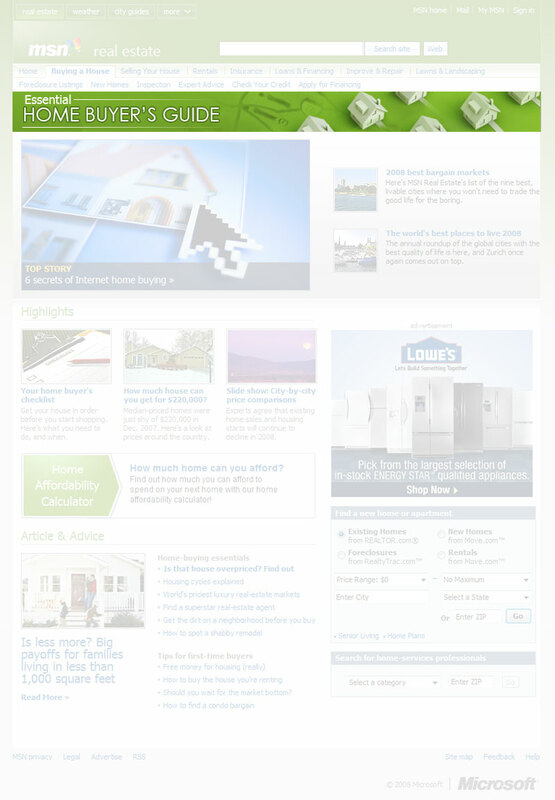 For this project, I was asked to design a header image for the "Essential Home Buyer's Guide." My goal was to create eye-catching graphic while working within the MSN Real Estate style guide.